A fourteen-panel piece made for the exhibition Raw Potential curated by Jo Stealey for Craft Alliance's Delmar Loop Gallery in St Louis, Missouri. 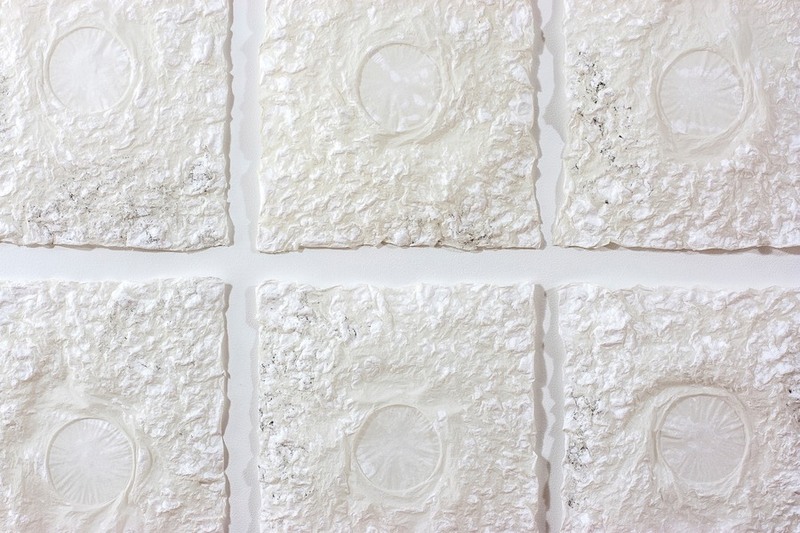 Raw Potential examined the work of contemporary artists who are pushing the boundaries and exploring the potential of papermaking today. 122 cm x 213 cm x 2.5 cm / 4 ft x 7 ft x 1 in.